Today the second Sweet Grove Romance is born into the world of published books. You can snap Love’s Little Secrets up on Amazon, and check in with Kyanna and Roth while discovering the truth about Norma and Herman Wells. The idea for this story was born as I drafted and revised Love’s Late Arrival. I really liked the high school secretary, Norma Wells, and I kept wondering why she stayed with that chauvinistic husband of hers. It’s been five years since my own silver anniversary party, but the question that really got me going was: what if Herman had a son who crashed Norma’s anniversary party? All the other questions that helped formulate the plot sprung from that one. Norma Wells is having a silver anniversary party under duress. Tabitha Olsen and the ladies of First Street Church won’t let such an important anniversary slide by, but Norma isn’t sure there’s much to celebrate. For the past several years, she and Herman have drifted further apart, and she wonders if she even loves him anymore. Herman’s been wrestling with a lot of changes at work. But he doesn’t talk about that with Norma. It’s his job to take care of her and protect her from the harsh realities of life. Besides, who wants to talk about demotions and pay cuts? When Herman’s well-hidden secret crashes the silver anniversary party, everything changes. This is only the first wall to crumble in Herman’s life. Will he finally treat Norma as a partner? Or is Norma finished with him now that she knows he betrayed her in the worst possible way? Romance shouldn’t end after the wedding and honeymoon. This story focuses on the struggles of marriage between Christian and non-Christian and the truth about real love and forgiveness. Norma addressed everyone by first name, smiled, touched them with warm hands. She asked them about pets, children, gardens, and their health. It struck him that she belonged in Sweet Grove, but most of the faces were only vaguely familiar to him since he’d been on the road for so many years. Herman stood beside her, munching on a generous slice of cake. Everyone loved her. A stirring in his chest reminded him of his affection, dampened by time and distance, and the bitterness of her broken dreams and his unfulfilled plans. He’d never stopped loving her, even when his duty kept them apart. If the gem on her finger didn’t prove his love, certainly the four-bedroom farmhouse on twenty acres must do the trick. Every anniversary and birthday, he brought rose bushes and flowers, which she loved planting. And that darned gazebo she’d wanted a few years back, situated just so beneath the arching shade of pecan trees, had been a special addition. Norma’s hand stayed on his arm as she led him through the crowd. Herman spoke a few words to everyone, nodding in acceptance of their well wishes. Talk of the Apple Blossom festival circulated, smothering him. Finally, a woman hugged his wife and her hand dropped away from him. He sidled toward the door. A motor revved, roaring nearby before cutting off. Many heads turned toward it. Herman stepped closer, yearning for fresh air and space without clingy near-strangers. A dark-haired young man in a black leather jacket swished through the doors. His fawn-colored skin contrasted with the white walls. Tousled curls flopped nearly to his shoulders, and he glanced around the room. White teeth flashed when he answered a query from one of the men clutching a cup of coffee near the door. Herman glanced toward Norma, meeting her questioning gaze. He jerked his head toward the door. It was too soon to expect they could leave, but surely she wouldn’t begrudge him a few moments away from the crush. The sound of the name anchored his feet in place. Only one person called him Manny Wells. One person he never wanted to see in his hometown. “Can you point him out?” The younger man’s voice was smooth but unfamiliar. All three of them turned, and Summer’s finger pointed directly to him. Her lips moved, but Herman heard nothing above the slamming of his heart against his eardrums. The handsome stranger’s amber-flecked brown eyes fixed on Herman’s pale ones. His square jaw and wide nose were twins of Herman’s while the rest of him reflected the Hispanic beauty of his mother. “Dad.” Fire lit the boy’s eyes, and his full lips didn’t smile. Herman stiffened. Questions swirled through his mind at dizzying speed, and the sinking sensation in his stomach turned the spice cake to gravel. You’ll meet some new characters in this story. I intend for you to like them enough you’ll want to read their stories in a few months. Bailey Travers, the Wells’ neighbor, is the hero in the next book in the series. Love’s Lingering Doubts is scheduled to release on July 3, 2018. I’m planning Ariel Stryker’s story for September 10, when the new young adult sub-line of First Street Church romances debuts. Adonis will play a role in that story, too, but my brain is churning up ideas for a romance all his own. If anyone deserves it, I’d say it’s Adonis. 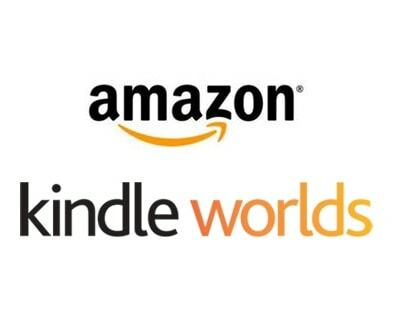 With all the changes Kindle Direct Publishing is making to the Kindle World system, I don’t know if there will be more than these four books. But I’m committed to finishing out the 2018 projects I’ve planned. What other characters would you like to know more about? Would you like to see me continue with the Sweet Grove Romances? What’s this Kindle Worlds Thing? I’ve never been a huge fan of fan fiction. I like to come up with my own story, thanks so much. But when I was invited to write in an author’s soon-to-be-formed Kindle World, I suddenly had a different thought. Or twelve. You know me, I rarely think about only one thing at a time. And one thought leads to another and before you know it COOKIES! Now, back to this Kindle Worlds thing. Now, I’ve also read a couple books from The Runes series, and I found them good, but a little too shallow and predictable for me. They are young adult paranormal romances, after all, and they are a huge hit with the teenage girls they’re written for. What Amazon has done is ask some indie authors (don’t ask me how they decide but I’m guessing it has something to do with sales) to turn their fictional worlds into a place where anyone can contribute stories. The original characters can be used by these new authors, but they should not be the major players. Furthermore, this universe is suddenly a sandbox that only Amazon (specifically Kindle Direct Publishing) has rights to play in. If you submit a story into the universe, you relinquish rights to it forever. Most authors just shuddered. But I’m not worried about this at all. I’ll still own the characters, and if I fall in love with them, I only have to move them to a different setting and I can write about them for eternity. For someone who hates to market, this really called to me. 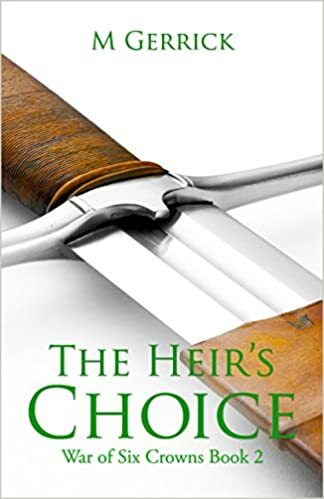 And I have to admit, I’m not necessarily a huge fan of the series of books that is the springboard for the Kindle World I’m planning to write for. That’s the biggest reason I don’t see this as fan fiction. After all, all that happens is I put my characters into the town of Sweet Grove, Texas. The books need to be a sweet romance and since the world is called “First Street Church Romances,” they’re probably going to explore inspirational themes or have Christian worldviews. All of which is what I want to do anyway. Am I deluding myself? Will people see this as fanfic? As always when I’m presented with a new writing opportunity, I pulled out my notebook and began scrawling out my thoughts. And with the power of Amazon behind each launch, I’ll pick up new readers. There will be people who buy everything they see, thinking it’s going to be a series they love. Plus the author who originally invented Sweet Grove is a marketing professional, and she intends to push all the books with her considerable platform and influence. When 100 writers jumped in with both feet at the idea, you know it’s a good one. But why isn’t this “real” writing? I have some sort of chip on my shoulder about inspirational romances which makes no sense. For a decade or more, that is ALL that I read. Only now, I’m back to reading mostly fantasy. Romances are too predictable to me, so I don’t enjoy reading them as much anymore. But there are millions of people who DO enjoy reading them. And they would read the ones I wrote because Amazon would make sure they knew about them. So, what do you think I should do? Is it worth my time and effort to publish in a Kindle World?